This week, Senate Bill 2036 and Senate Bill 2306, sponsored by State Senator Merle Flowers (R-19), passed out of the State Senate and are now on their way to the House for consideration. The Mississippi Legislature amended the state's firearms preemption law to prevent cities and counties from interfering with the lawful transportation and possession of firearms in one's home, vehicle, or place of business during a state of emergency or natural disaster, such as occurred following Hurricane Katrina. Senate Bill 2036, would further amend the state's emergency powers laws to create additional Second Amendment protections for law-abiding citizens during a future crisis. Senate Bill 2306 would repeal a prohibition in the state's Right-to-Carry law on permit holders possessing handguns in parks. The current statute makes no distinction between national, state or local parks. Unless this bill passes, permit holders in Mississippi and reciprocal states will not benefit from the recent rule change adopted by the Department of the Interior allowing them to carry in national parks located within the state's boundaries. Also this week, House Bill 311, introduced by State Representative Willie Bailey (D-49), passed the House and has been transmitted to the Senate. HB 311 permits concealed handgun permit holders to renew their permits by mail and requires DPS to issue or deny permits to applicants within 45 days instead of 120 days. Please continue checking your email and www.NRAILA.org for updates on HB311. We will keep you informed when the bill is assigned to a committee and when to take action. Please contact your State Representative TODAY and respectfully urge them to support SB2036 and SB2306. 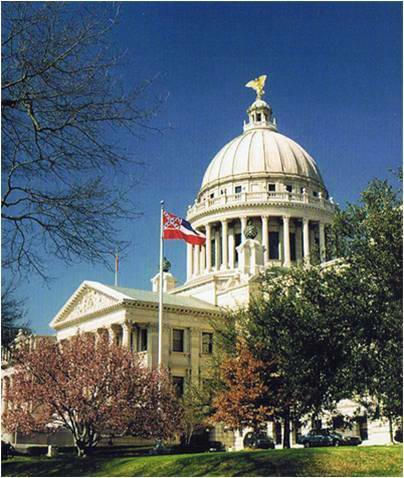 Please click here to find contact information for your State Representative. Please do not reply to this email as you will not receive a response. This email is a broadcast email generated by an automated system. To contact NRA-ILA call 800-392-8683. * Please note: In their efforts to curb SPAM, many ISPs, servers and SPAM filters treat legitimate and legal bulk emails as SPAM. In order to ensure you receive NRA-ILA email alerts in a timely manner, please adjust your SPAM settings to accept bulk emails from the "nraila.org" and "www.ilaalerts.org" domains. Otherwise, there is a possibility that our email alerts will not make it to your inbox.